December 31st is a day spent reflecting on the year that has just past, and in the world of superhero movies 2013 was a largely a major success. Shane Black’s Iron Man 3 became the fifth highest grossing film of all time, and Alan Taylor’s Thor: The Dark World was a fun ride that continued to expand the Marvel Cinematic Universe. Zack Snyder’s Man of Steel was a controversial yet intriguing first look at a new version of Superman, and James Mangold’s The Wolverine helped reestablished the mutant hero’s reputation. It makes us wonder what the possibilities are for 2014, and things are getting started early with Joe and Anthony Russo’s Captain America: The Winter Soldier coming out in April. A handful of new stills from the upcoming Marvel Studios film found their way online yesterday, but today, thanks to the Tumblr Crazy-Obsessive-Fanboy (via CBM) we have a few more. First up top we have yet another still of Robert Redford’s character, this time having a conversation with Chris Evans’ Captain America. In the movie, the Oscar-winning Redford will be playing Alexander Pierce, a senior official at S.H.I.E.L.D., where Cap now works as an agent. Next up we have yet another image of the titular hero, this time paired with Scarlet Johansson’s Black Widow. 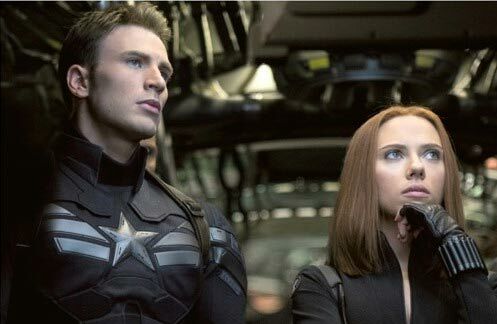 This relationship is easily one of my most anticipated aspects of the movie, as I’m excited to see how Cap’s old world sense of morality pairs up with Black Widow more modern, cynical attitude. 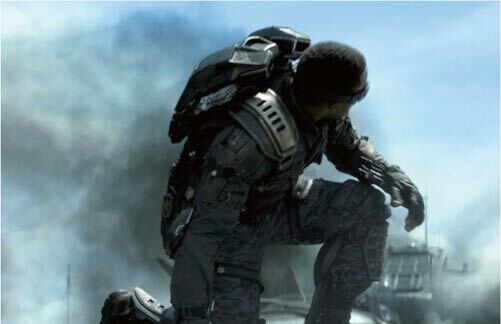 Back to talking about new characters, this next image features Anthony Mackie as Falcon. If you’ve seen the trailer (it’s at the bottom of this post if you haven’t), you know that the backpack that Falcon is wearing actually deploys a set of wings that give the hero the ability to fly. It should be pretty useful tool in crafting some awesome action sequences. Enough about the good guys – let’s talk about the more sinister agents in play. 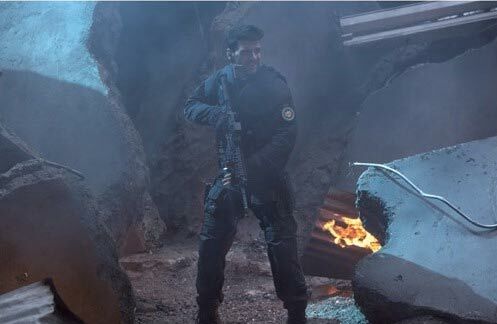 Pictured above is Crossbones, who is expected to be one of the main antagonists of the movie along with the eponymous Winter Soldier. Judging from the footage we’ve seen, it would appear that Crossbones (real name Brock Rumlow) will be an ally of Cap’s at the start of the movie – but that relationship won’t last long. Captain America: The Winter Soldier, which also co-stars Sebastian Stan, Cobie Smulders, Emily VanCamp, Hayley Atwell and Samuel L. Jackson, will be in theaters on April 4th.